Debt collection is often performed by a company that purchases a consumer’s debt from a creditor or debt owner. And, in recent years the debt buying business has grown significantly. A report by the Center for Responsible Lending noted that from 2003 to 2012, revenue from debt collection rose 600 percent. There’s no denying the debt collection industry is profitable. 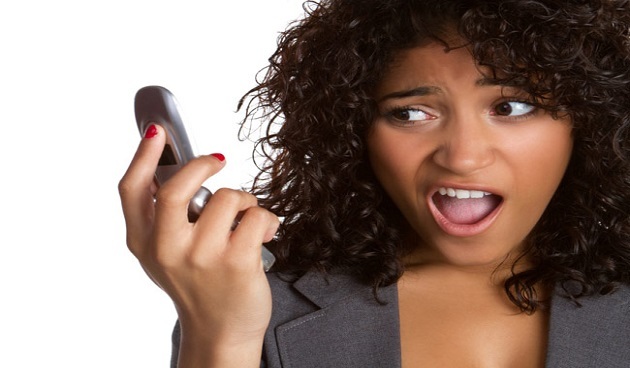 Telephone calls are the major way debt collectors like to contact debtors. Whether it is calling you at inconvenient times such as dinner time or holidays or calling outside the hours of 8 a.m. to 9 p.m., debt collectors use various phone tactics to get people to pay debts. Consumers who don’t want to be contacted by debt collectors on their cellphones may have a powerful new ruling on their side. It may not only help them stop these calls, but it may increase the chances that they can collect damages of $500 to $1,500 per call. The 11th Circuit Court, in Osorio v. State Farm Bank, recently reinforced restrictions under the Telephone Consumer Protection Act prohibiting debt collectors from using automated dialing systems (more commonly known as “robocalls”) to call consumers on their cellphones without the consumer’s express permission. The Telephone Consumer Protection Act is not new. It is a federal law that has been around since 1991. Parts of the law specifically restrict telemarketing and the use of automated dialing systems to contact consumers without their express consent. In the past for consumers who had given their permission for a creditor or debt collector to call their cell phones, the courts had been divided on whether that permission could be verbally revoked. In the current case, the court opined that consumers who have given collectors permission to call their cellphones can revoke their consent verbally. This means consumers who tell a debt collector or creditor not to contact them on their cellphone can sue from $500 to $1500 for each call to a cell phone done with an autodialer. The law can especially be helpful to consumers getting robocalls on their cell phones for the wrong person. Consumers who are getting robocalls on their cellphones should keep accurate records of those calls and talk with a consumer law attorney. The fines are for each call. According to 47 USC § 227(b)(1) (B) an action to recover for actual monetary loss from such a violation, or to receive $500 in damages for each such violation, whichever is greater. If the court finds that the defendant willfully or knowingly violated this subsection or the regulations prescribed under this subsection, the court may, in its discretion, increase the amount of the award to an amount equal to not more than 3 times ($1,500) the amount available under subparagraph (B). Unfortunately few people know about this powerful weapon that can be used in state or federal court against debt collecttor calls on your cell phone.